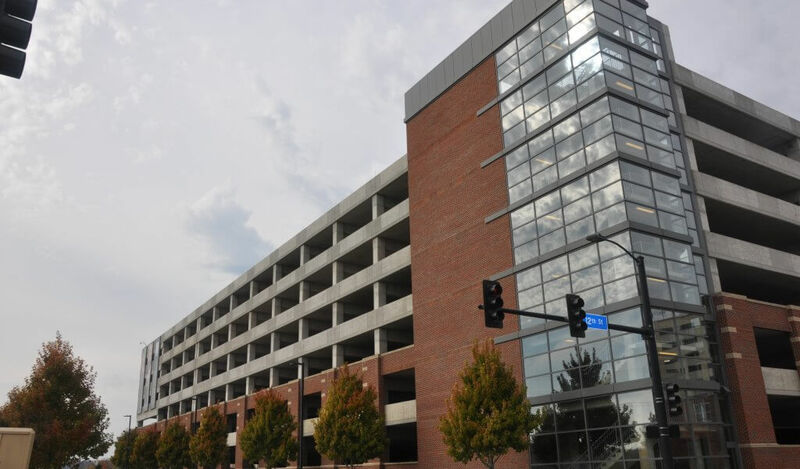 This 7 ½ story parking ramp utilized cast-in-place post-tensioned concrete for long-term durability and clean architectural lines. High-performance concrete mixes, complete tendon encapsulation system, epoxy coated reinforcing, outstanding concrete placement and curing contributed to the durability of the structure. Foundations consist of auger-cast-piles extending to bedrock. Brick veneer and architectural concrete were used to complement the surrounding buildings. 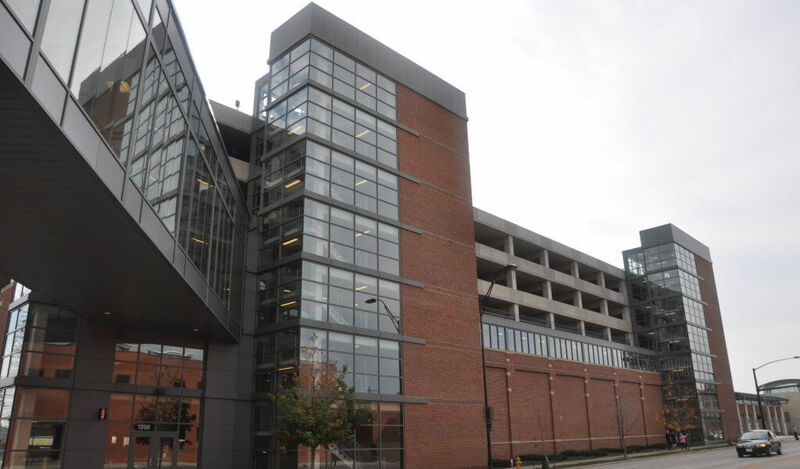 The ramp holds 1,700 vehicles and is connected to the Nationwide Campus through a skywalk system.